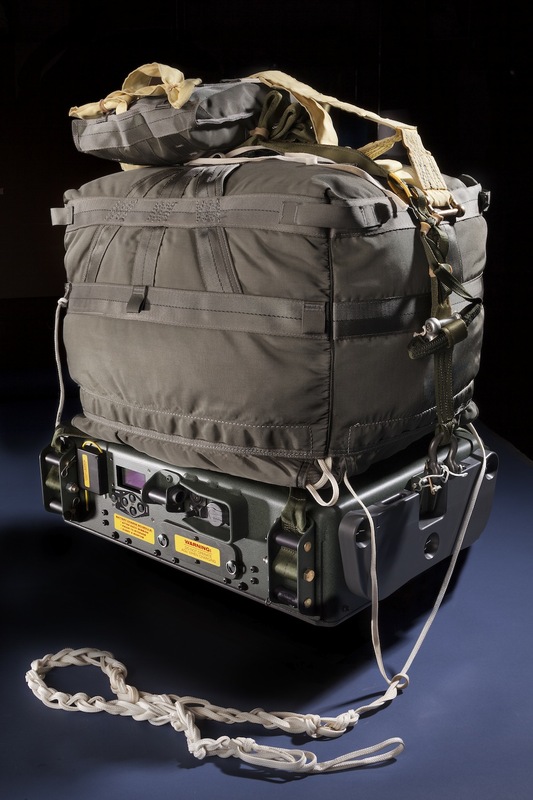 Aircraft dropping supplies by parachute have to fly at dangerously low altitudes. Material can miss the intended target and fall into enemy hands. 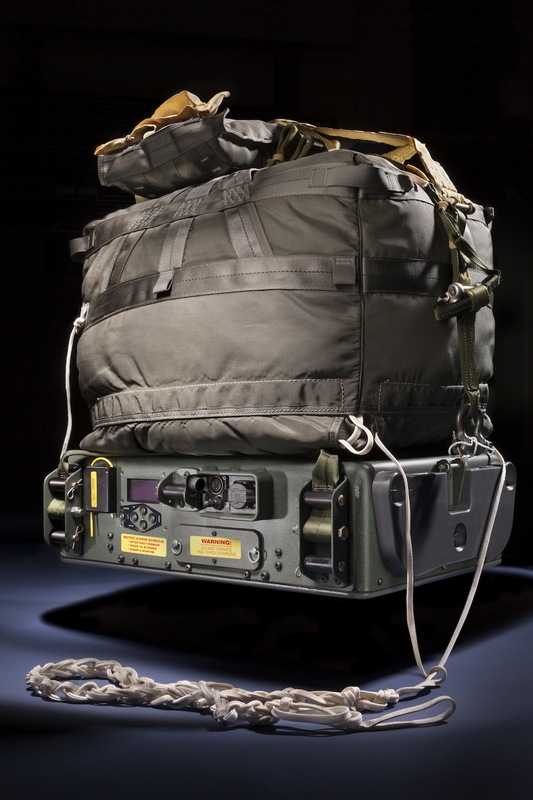 This GPS guidance unit and parafoil steer cargo dropped from higher altitudes to a pre-programmed landing zone with improved accuracy.